Carlo Janka: I want to correct any final mistakes today. The slope and conditions have barely changed since the last course inspection - still as good as ever. Kjetil Jansrud: I have a good feeling thus far. A Little more snow has fallen, but the slope has been cleared and conditions are very good, similar to two days ago. Ivica Kostelic: I didn't take part in training two days ago, but I feel ok after the course inspection, because the slope really is in top condition. Dominik Paris: The piste is compact, some workers are busy correcting any last irregularities. The track conditions were more difficult last year. It Looks very good this year. Adrien Theaux: Of course the Streif is always difficult to master, but it is in great condition. It is important now to concentrate, because something can happen very quickly if you are careless. But I have a good feeling. Aksel Lund Svindal: The piste gets better day by day - also thanks to the many helpers who are helping to "slip" the course. 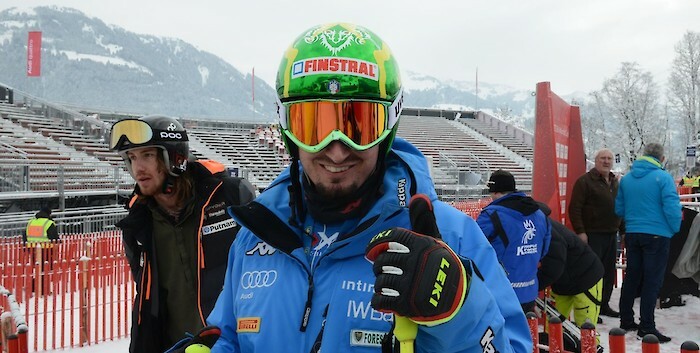 Klaus Kröll: The piste is now in better condition than during training two days ago - it is harder and more compact. Otmar Striedinger: The piste is good. During the inspection, I take note of how it has been groomed and what conditions prevail.